A single word-"Auschwitz"-is often used to encapsulate the totality of persecution and suffering involved in what we call the Holocaust. Mary Fulbrook's encompassing book expands our understanding, exploring the lives of individuals across a full spectrum of suffering and guilt, each one capturing one small part of the greater story. 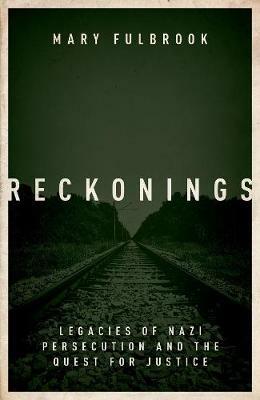 Reckonings seeks to explore the disjuncture between official myths about dealing with the past, on the one hand, and the extent to which the vast majority of Nazi perpetrators evaded justice, on the other. The Holocaust is not mere history, and the memorial landscape barely hints at the maelstrom of reverberations of the Nazi era at a personal level. Reckonings illuminates the stories of those who remained outside the media spotlight, situating their experiences in changing wider contexts, as both persecutors and persecuted sought to account for the past, forge new lives, and make sense of unprecedented suffering. Mary Fulbrook is Professor of German History at University College London and the author of the Fraenkel Prize-winning A Small Town near Auschwitz: Ordinary Nazis and the Holocaust.